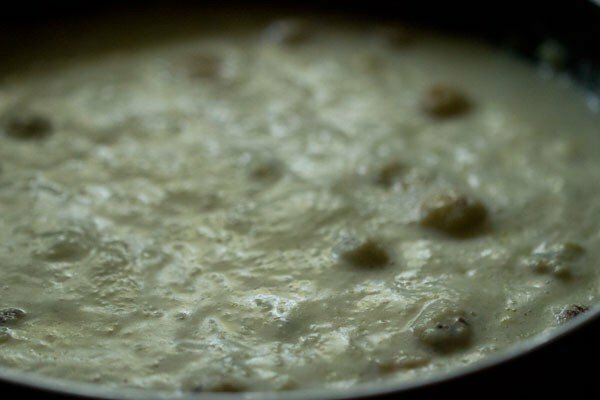 makhane ki kheer recipe with step by step photos – phool makhana kheer is a dessert that is often made during navratri fasting or mahashivratri vrat or ekadasi fasting. i had made the makhane ki kheer during the ganesh chaturthi festival. 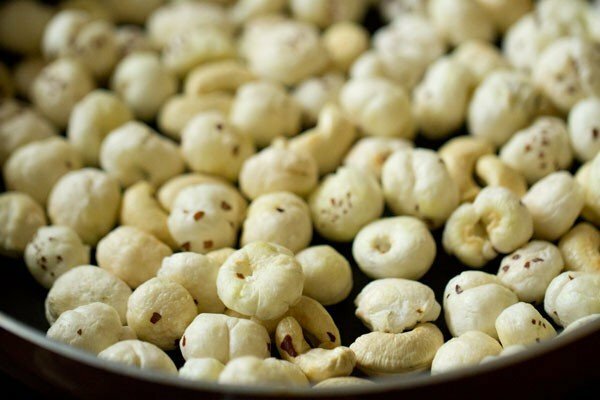 makhana or foxnuts or phool makhana is always there at home. i usually roast the makhana and keep in a jar. 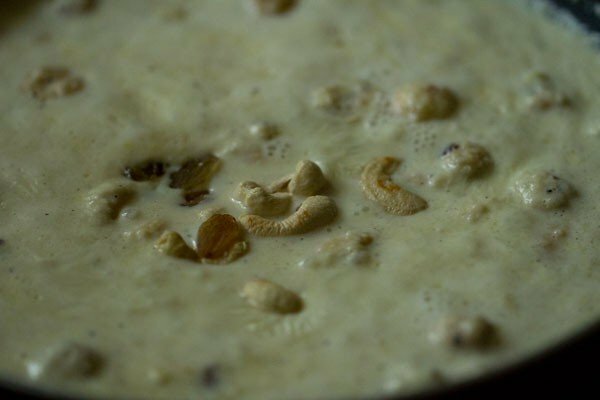 since we make kheer also with makhana, its time i updated the recipe on the blog. more about these healthy seeds on my roasted makhana post. makhana is healthier than popcorn or any of the ready to eat cornflake cereals. 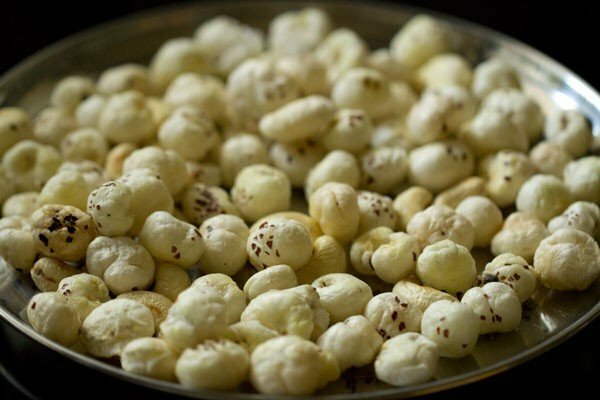 i recently read that since there is no demand for makhana in most cities, the poor farmers who cultivate these in the central indian wetlands are no longer doing so. not only the farmers are loosing their work, but also we are loosing in a way. traditional indian food habits are healthy. slowly under the pressure of fast life and heavy influence from big corporate food giants we are changing our food habits, which is really sad. it is disheartening to see that we don’t include locally available indigenous nuts, grains or veggies and choose to buy expensive imported food stuff or go by certain food advertisements that are so well publicized. please do include locally cultivated food in your meals. it not only helps the farmers to sustain but also preserves the food culture & tradition of our country which may possibly get lost into oblivion in the future. 1. roast the makhana and keep in an air tight jar. 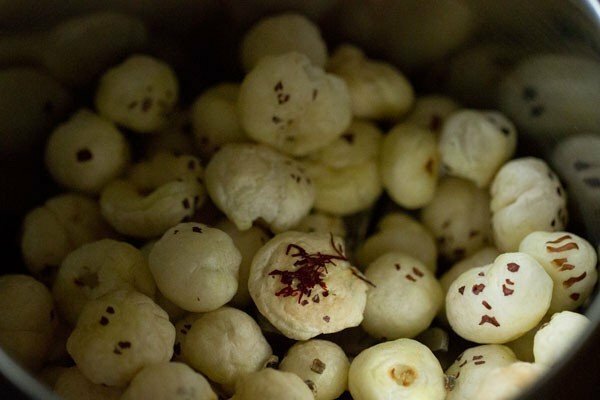 these roasted makhana make for a nutritious and light snack. you can either make these savory or sweet. 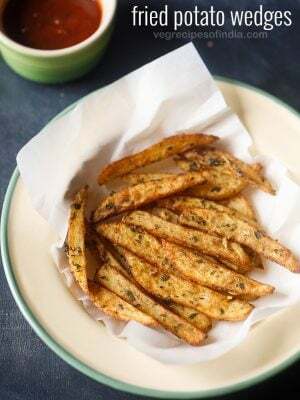 for savory add your favorite spice mix with salt. for the sweet option add powdered sugar. 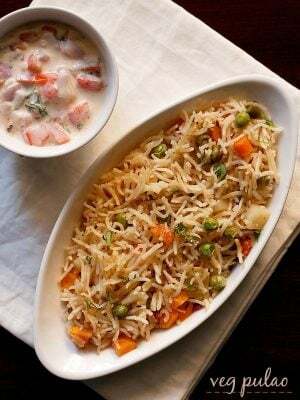 2. you can also make makhane ki sabzi with peas known as matar makhana or khoya makhane ki sabzi. 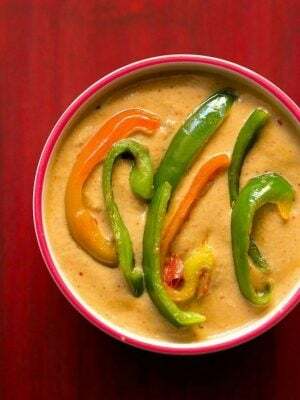 3. you can make curries like khoya matar makhana or this kaju (cashews) makhana curry from tarla dalal. 4. you can have makhana during breakfast and top it with fruits. roast the makhana and mix it with milk (dairy or vegan) and top it with fruits and nuts. add your choice of sweetener. 5. makhane ki roti – this makhana roti from flavorsfrommumbai.com looks very soft, smooth and is healthy too. 6. makhana raita – spiced cooling raita made with phool makhana. 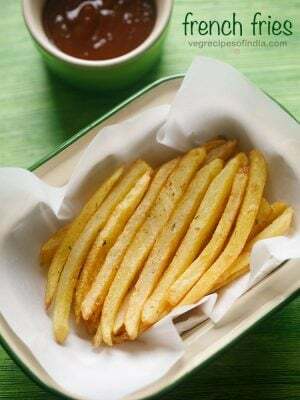 7. aloo makhana – easy snack recipe for navratri made with boiled potatoes, phool makhana and spices. 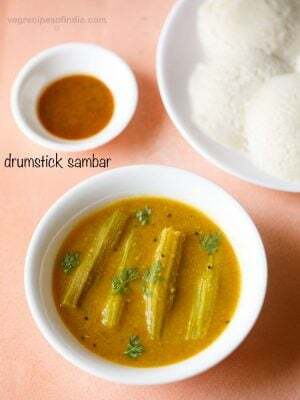 apart from makhana kheer, there are many sweets recipes which you can make for navratri fasting like sabudana kheer, paneer kheer, vrat ka halwa, vrat ke chawal ki kheer, sabudana ladoo and rajgira kheer recipe. 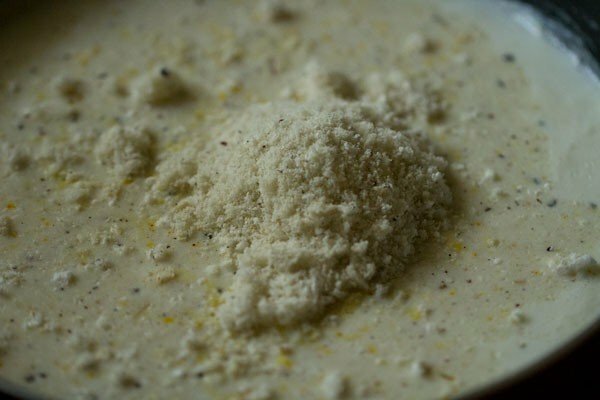 while preparing the makhane ki kheer, i have powdered ⅔ part of the makhana and kept ⅓ part whole. you can also chop them. powdering them gives a smooth consistency in the kheer. 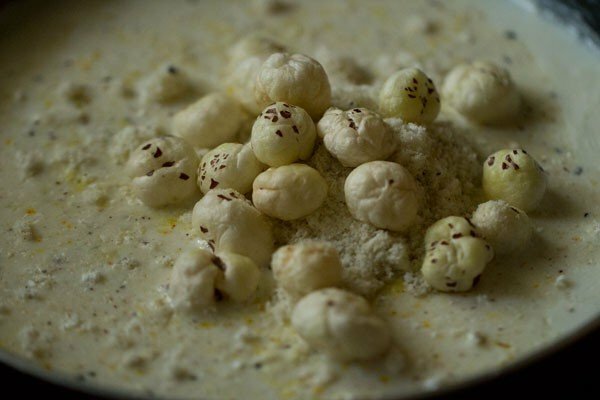 if you want texture and bite in the kheer, then chop the makhanas or add them whole, if they are small in size. i have not thickened the milk too much. you can do so. however, increase the quantity of milk and the other ingredients proportionally. this is simple kheer recipe and fuss free too. if you are looking for more navratri vrat recipes then do check sabudana khichdi, vrat ka chawal ka pulao, rajgira paratha, aloo tamatar sabzi, singhare ki poori and sabudana vada recipe. heat 2 to 3 tsp ghee in a pan. add the phool makhana and cashews. on a low flame, roast 1 cup phool makhana and 10 to 12 cashews in ghee till the makhanas become crunchy. the cashews will also get golden. stir often while roasting them. then remove them in a plate and keep aside. heat 2 cups milk/500 ml in a sauce pan or a thick bottomed pan. stir at intervals so that the milk does not scorch from bottom. let the milk come to a boil. 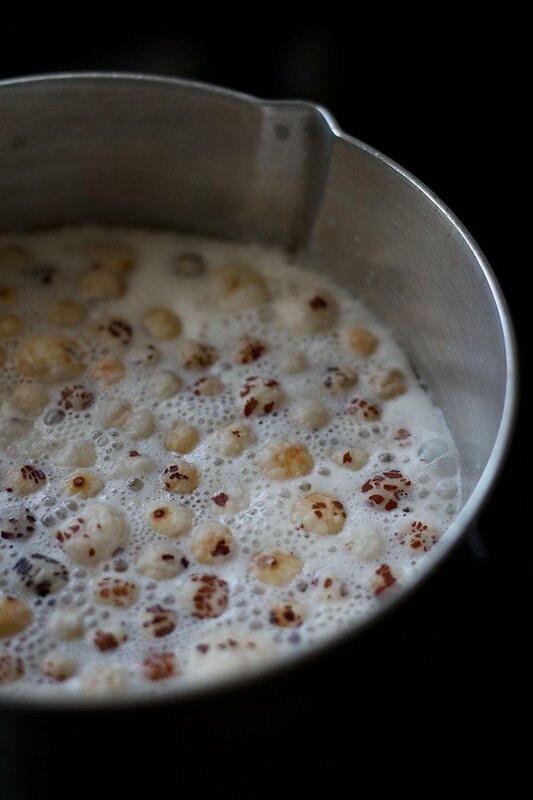 whilst the milk is getting heated up, reserve 1/3 cup makhana and add the remaining in a grinder or blender jar. add cardamom seeds from 4 cardamom pods along with a pinch of saffron strands. when the milk comes to a boil, then add 3.5 to 4 tbsp sugar or add as per taste. add the ground powdered makhana. then the reserved 1/3 cup makhana. simmer till the makhane softens and the milk thickens a bit. about 9 to 10 minutes on a low to medium flame. scrape the evaporated milk solids from sides and add to the milk. lastly add the golden cashews and raisins. 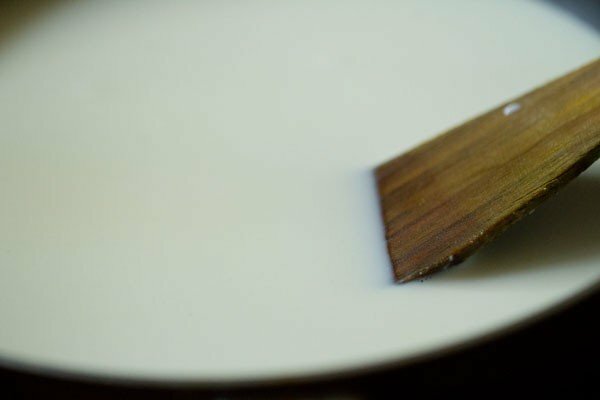 if using blanched and sliced almonds, then you can add at this step. stir and simmer makhane ki kheer for a minute. 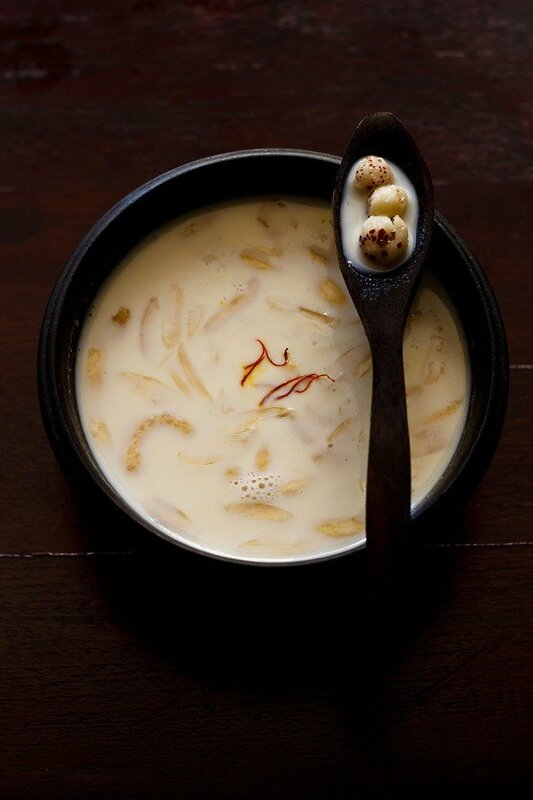 serve makhane ki kheer hot or warm or chilled. after chilling, the kheer's consistency thickens a bit. 1. heat 2 to 3 tsp ghee in a pan. 2. add the phool makhana and cashews. 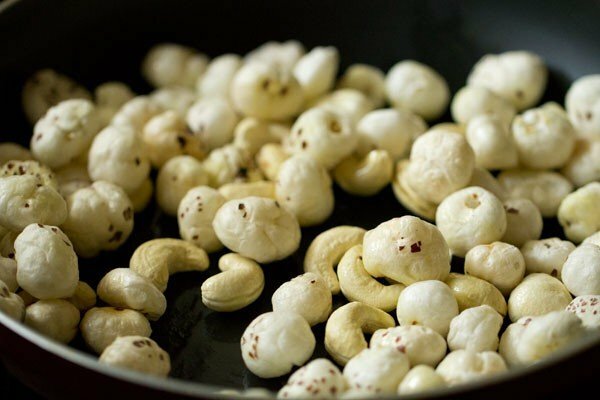 3. roast 1 cup phool makhana and 10 to 12 cashews in ghee till the makhanas become crunchy. the cashews will also get golden. stir often while roasting them. 4. then remove them in a plate and keep aside. 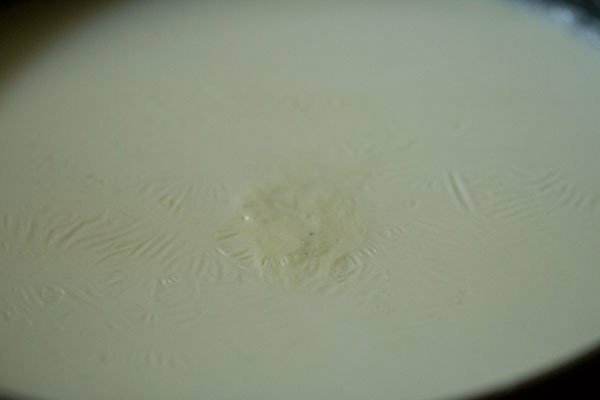 5. heat 2 cups milk (500 ml) in a sauce pan or a thick bottomed pan. 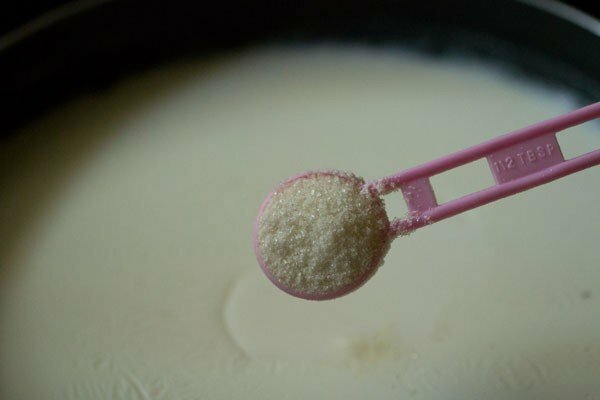 stir at intervals so that the milk does not scorch from bottom. 6. let the milk come to a boil. 7. whilst the milk is getting heated up, reserve ⅓ cup makhana and add the remaining in a grinder or blender jar. add cardamom seeds from 4 cardamom pods along with a pinch of saffron strands. 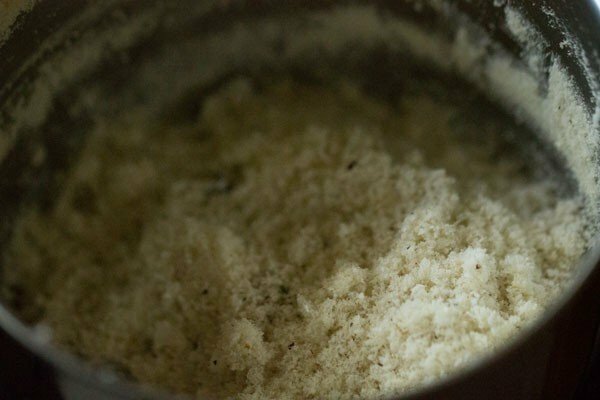 8. grind to a fine powder. 9. when the milk comes to a boil, then add 3.5 to 4 tbsp sugar or add as per taste. 10. add the ground makhana. 11. then add the reserved ⅓ cup makhana. 13. simmer for 9 to 10 minutes on a low to medium flame till the makhane softens and the milk thickens a bit. do stir at intervals. scrape the evaporated milk solids from sides and add to the milk. 14. lastly add the golden cashews and raisins. if using blanched and sliced almonds, then you can add at this step. 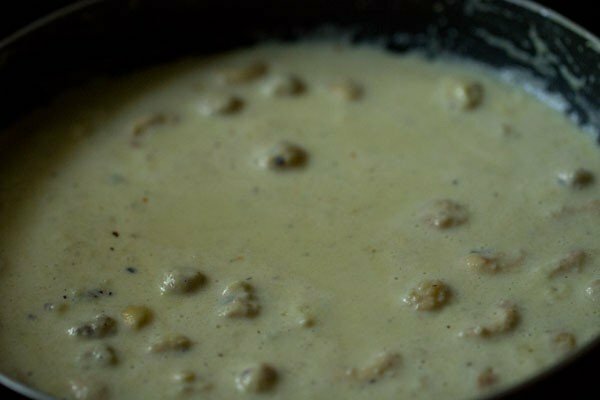 15. stir and simmer makhana kheer for a minute. 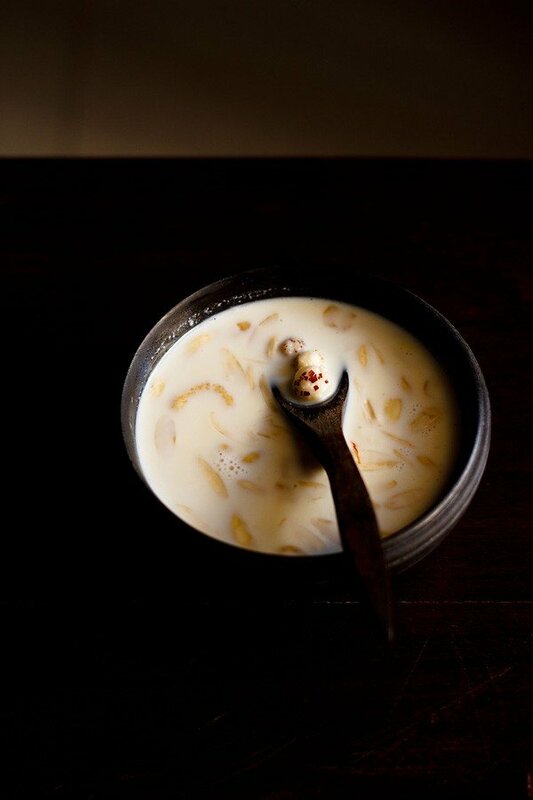 16. serve makhane ki kheer hot or warm or chilled. after chilling, the kheer’s consistency thickens a bit. I am your biggest fan. I have tried your several recipes and every single dish comes out amazingly. 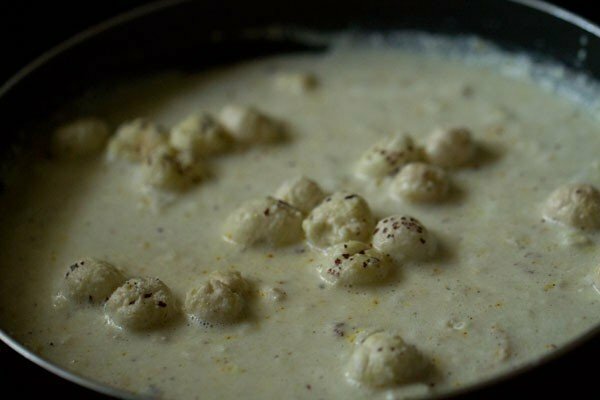 I wanted to know if we can use coconut milk for makhana kheer. Thanks and God bless! thanks a lot priya. you can use coconut milk. but cook the makhana in some water first. then add thick coconut milk and lightly heat it. 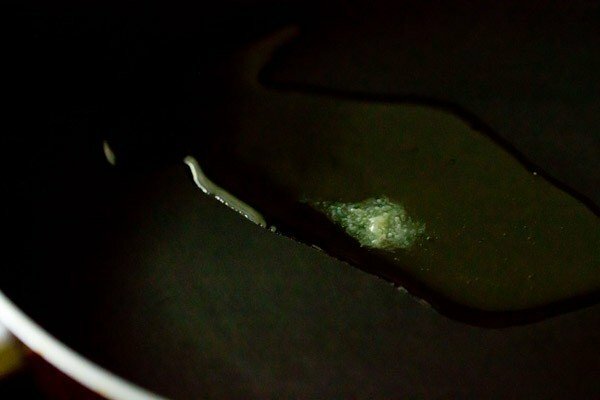 do not boil or else coconut milk can curdle. Welcome Padmini. Glad to know this. Absolutely loved the creamy texture of this kheer! It is my new fav! Welcome Sal. Thanks for sharing your positive feedback on kheer recipe. Today i made it n i got tarifffff yeeeee. Thanku so much for this lovely dish.??? great aafrin. i pray you get tariffee in everything including cooking. wishing you all the best for your future. Made this for the first time and it was fab! Thank you! I have tried many of your recipes. Your website is now bookmarked on my lappy….Best part of your site is pictorial depiction which comes as a blessing for an amateur cook like me…Keep up the good work..I tried this one too and it came out just perfect…Thanks for sharing…..
welcome zaynab. with almond milk just warm the milk. don’t heat. because if you heat it then it might become slimy and even look curdle. durga ji, wish you too a happy new year and thanks again for all your blessings. you are lucky to have the goddess’s name. we are devout devotees of maa durga. makhana is very good for the body. they are good for joints too. so try to have more of them in your diet. you can just roast them in a bit of oil. add any spice powder like haldi or turmeric or chaat masala, whatever you like or even powdered sugar to make a sweet option. 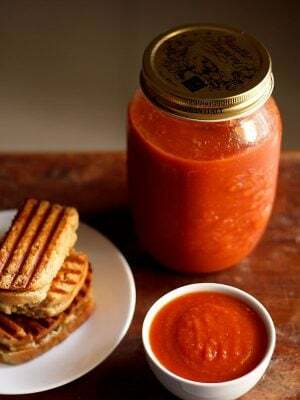 toss well and store in an airtight jar. have them plain as a snack. 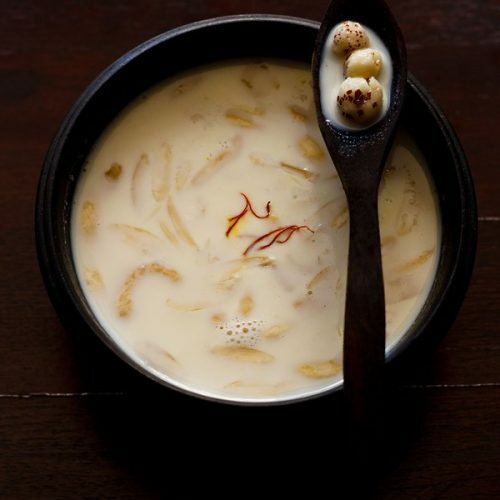 this kheer is one of my favorite…Looks very inviting and delicious!!! !